Prafatorial Remarks: The pair of iron gates into the church and graveyard are embossed in the usual place by Courtney & Stephens, who were connected with Henry Courtney, Leixlip Iron Works. Most of this selection was obtained by recording the data on a tape recorder. The typescript has since been checked against the gravestones. ARDIFF [a flat slab] Erected by Mary Ardiff in memory of her husband, Edward Ardiff who died February 6th 1815 aged 77 years. Mary Ardiff who died 15/10/1825 aged 75 years. ARDIFF Henry Ardiff who died 14th September 1911 aged 45 years and also his infant son, Eddie, and his parents, Henry and Mary who died in 1899. And also his wife Elizabeth who died 26/3/1940 aged 68 years. BLAKE Erected by Alice Blake in memory of her loving husband William Blake died 11/4/1922 aged 69 years. Her daughter Mary Dunne died 20/4/1915 aged 25 years. Rose Blake died 19/7/1913 aged 20 and the above Alice died 7/9/1955 aged 89. COLGAN Patrick Colgan who died 27/4/1913 aged 65 years. Also his wife Anne Colgan who died 24/9/1933 aged 83 years. And their children 13/6/1937; Pierce died 18/5/1956; Katherine Maher died 11/5/1959; Patrick died 15/9/1960. On the side of the stone is written: Nicholas Maher died 26/4/1964 and his son Pierce died 31/12/1975. On the opposite site is written: Also their children Joseph died 10/7/1962; Esther died 8/12/1962; Mary died 24/2/1972. COOGAN In loving memory of Edward Coogan, Maynooth, who died 2/3/1938 and his son Jack died 15 January 1906 and his wife Marcella Coogan died 11/2/1955. Also their sons William – 5/5/1965; Eddie – 15.8.1966; Gerald – 10/8/1967, daughter Nano – 20/2/1975; Christopher – 25/7/1976. COONEY Thomas Cooney of Collinstown died Nov 4th 1736 aged 72[?]. His wife Ann[?] she died …. 26th 1792. DOWNES Erected by Edward Downes in memory of his beloved father Denis Downes who died 21st October 1859 aged 62 years and also his mother Catherine Downes who died 30 May 1872 aged 58 years. Also Joan Margaret and Patrick Downes of Maynooth who died young. Nearby is an older Downes or Dowans stone from 1768 and near dates. GLENNON Arthur? Catherine Glennon late of Leixlip erected this headstone in memory of her beloved husband Luke Glennon died 13th August 1872. His sister Mary also died in August 1872. HANLON Erected by Elizabeth Hanlon to the memory of Patrick Hanlon her husband who departed this life 26th April 1774 aged 70 years. KILDUFF Joseph Kilduff, Ballygoran, died 7th February 1945 aged 31. His son Michael Kilduff died 24/1/1971 aged 84 years. 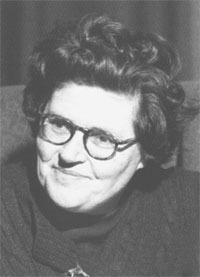 Julia, wife of Michael died 3/10/1978 aged 79 years. O’DONNELL Martin O’Donnell died 10/12/1975 aged 68 years; Matthew O’Donnell, President, St Patrick’s College, Maynooth, who died 27th September 1996 aged 63 years. PEPARD Here lyeth the body of Thomas Pepard who departed this life AD 1715[?] and also Elizabeth dec’d wife of John Pepard by whom this was erected 1719 [or 1729]. SHERRY Lance Corporal M Sherry, Irish Guards, 17 June 1918, aged 26, [no.] 5365. In the same, large plot are Rose Smith, and Margaret Sherry, Matthew Sherry, Mary Anne Sherry, Patrick Sherry. SHERRY Margaret Sherry died 10 August 1932. SHERRY Matthew Sherry died October 1914. SHERRY Richard Sherry died 5/10/1974. SHERRY Mary Anne Sherry died 12/12/1923 aged 61 years. Her husband Patrick died 25/1/1955 aged 88 years. Their son John died November 1918 and daughter Rose Gough died October 1942. Mary O’Connor, nee Sherry, died November 25th 1943 aged 75 years. Michael O’Connor died 13th October 1902 aged 93 years. SMITH In memory of Rose Smith, Leixlip, died 7th December 1956. In Sherry plot. WEAFER Erected by Joseph Weafer in memory of his beloved wife, Bridget, departed this life 17/9/1880 aged 76. Also two of his children Margaret and Joseph who died young. WEAFER In loving memory of my dear husband Joseph Weafer, Sunview, Maynooth who died 7th May 1933 aged 62 years. WEAFER Matthew Weafer, Carton lodge, Maynooth, who died 8th July 1960 aged 83. Anna Maria Weafer who died 5th December 1924 aged 18. Margaret (Peg) Weafer nee Bracken, died 12/12/1940 aged 33 years; Bridget (Bea) nee McGovern, wife of Thomas Weafer, died 14/7/1969 aged 54 years; Annie, wife of Matthew Weafer, died 23/10/1969 aged 93 years; their son, Thomas Weafer, main St., Maynooth, died 18/5/1973 aged 61. WETTLETON Erected by Matilda Turner in memory of her brother William Wettleton who died May 9th 1861 aged 18 years. 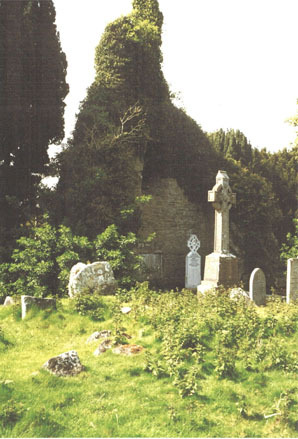 NOTE THAT LORD WALTER FITZGERALD RECORDED GRAVESTONES HERE. THEY MAY BE IN HIS PAPERS IN THE NATIONAL LIBRARY. IT IS UNCLEAR WHETHER HE RECORDED ALL OF THEM; MOST LIKELY A SELECTION. ASHE James, Easton Road, Leixlip, died 4/1/1975 aged 64; wife Mary died 17/5/1986 aged 75. BEHAN John, 48 Main St., Leixlip, died 11/6/1987 aged 33. CANE In loving memory of Eva, wife of Claude Cane of St Wolstan’s, married 1/3/1882, died 9/9/1914. CLEMENTS Henry died 6/8/1974 aged 75; Violet died 19/2/1980 aged 77; Kitty died 8/6/1991 aged 91; all of Killadoon. COLGAN In loving memory of Peter, Colwel, Templemills, Celbridge, died 23/6/1987 aged 82. Erected by his wife and family. COOGAN Christopher died 12/5/1934 aged 78. DELANEY In loving memory of Thomas Delaney, Blakestown, Leixlip, died 20/11/194x, also his son Joe Delaney died 15/4/199 aged 49. FINLAY Lilian Maud, [nee Williams, Toll House, Leixlip] died 3/1/1969 aged 72 - her husband John died 14/3/1974 aged 89 years - for 51 years land steward to Kirkpatrick family. GALLIVAN In memory of Thomas Gallivan, Hillford House, died May 1952. Also his wife Patricia Gallivan died July 1958. GALLIVAN Michael Gallivan, MD, died 30/12/1935; Daniel died 10/8/1939; Sarah Jane died 1/2/1940; Maire died 31/1/1993; Bernard J. died 24/11/1975. GROGAN In loving memory of Catherine and Thomas. KIRKPATRICK Alexander Richard d. 17/2/1891 aged 77 and Catherine Louisa died 15/10/1910 aged 78 [and many more, and Thorold] Richard Trench Kirkpatrick, Captain Leinster Regiment, killed in Uganda 26/11/1898 aged 33. McNALLY Annie died 25/11/1941 aged 66; her husband Nicholas died 2/12/1947 aged 73; their daughter Teresa (Terry) died 14/10/1977 and their daughter Margaret died 3/1/1986. McGETTIGAN In loving memory of John, died 11/4/1976. MITCHELL In loving memory of Bridget, died April 1974. 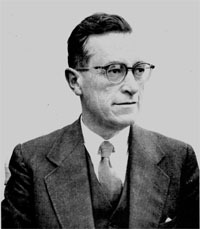 O’RIORDAIN In memory of Sean P. D Litt MRIA, Newbridge Lodge, Celbridge, Professor of Archaeology UCD, died 11/4/1957. Gabriel Hayes O’Riordain, artist, died 28/10/1978. PIM Vera died 18/1/1977, wife of Francis E., died 28/12/1981, Kilmacredock House, Leixlip. RUDDLE Rose Wilhelmina died 8/4/1963 aged 83 - late of Weston Park, Leixlip. SAUNDERS Erected by James Saunders in loving memory of his father Charles Saunders, who died 25/7/1896 aged 89; his mother Catherine Saunders died 9/3/1906 aged 84; their son John died 26/12/1909 aged 45; their daughter Esther Canning died 5/2/1920 aged 69; their son William died 18/3/1922 aged 71. TYNAN Edward (Ned) - Cooldrinagh 20/2/1900 ~ 13/6/1986. TYNDALL Mat died 1950 aged 58. His father Mathew died 1919 aged 59.